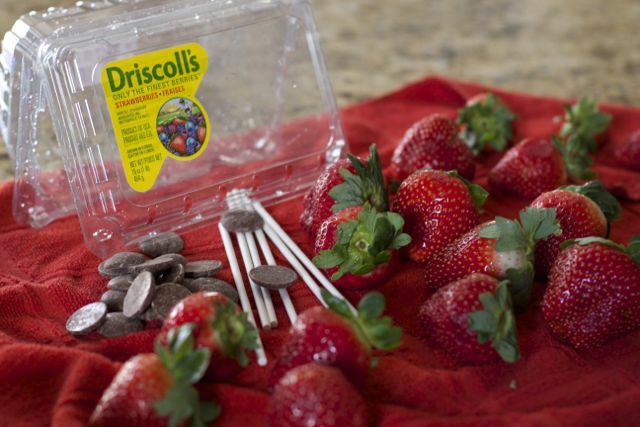 This post about Chocolate Covered Strawberries is sponsored from Driscoll’s. All the opinions expressed are 100% our own. Nothing shouts Valentines Day Dessert more than a Chocolate Covered Strawberry. 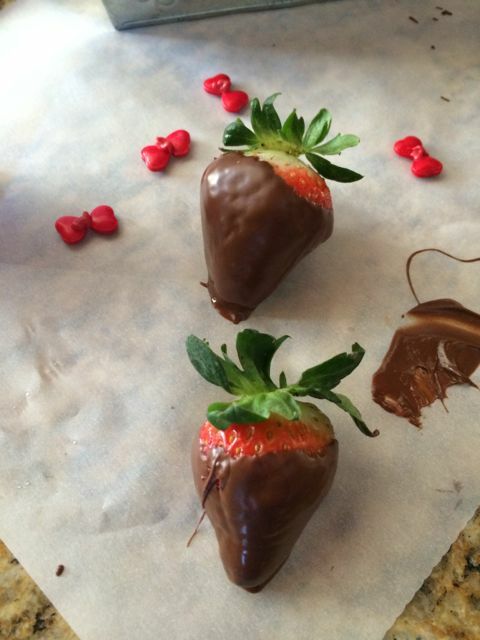 However, we decided to make our strawberries with a twist and all the amazing chocolate flavor. 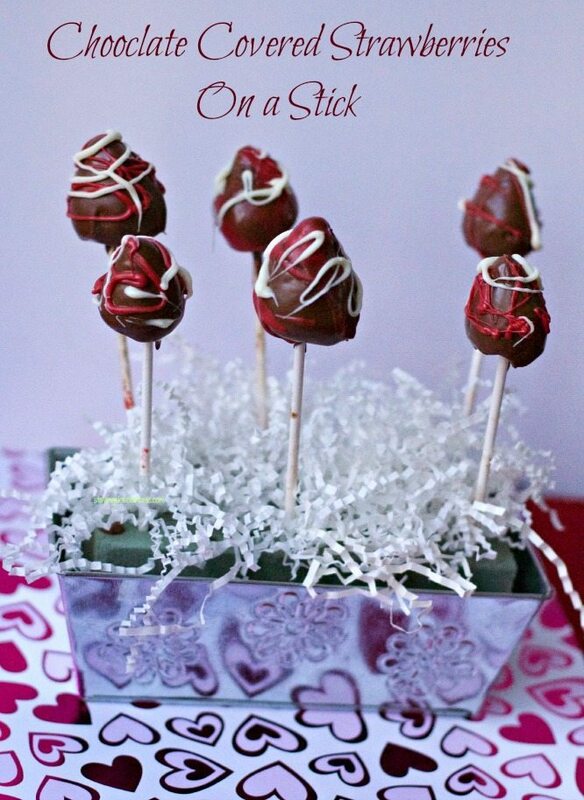 Everything tastes better on a stick, why not a chocolate covered strawberry? Create a fun centerpiece or a large display for a Classroom Valentines Day Party. I recommend using smaller sized strawberries for these. 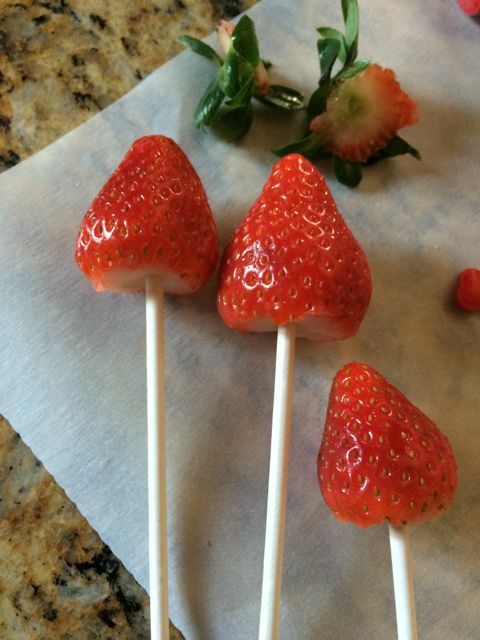 Cut off the stems and insert a lollipop stick into the flat end of the strawberry. 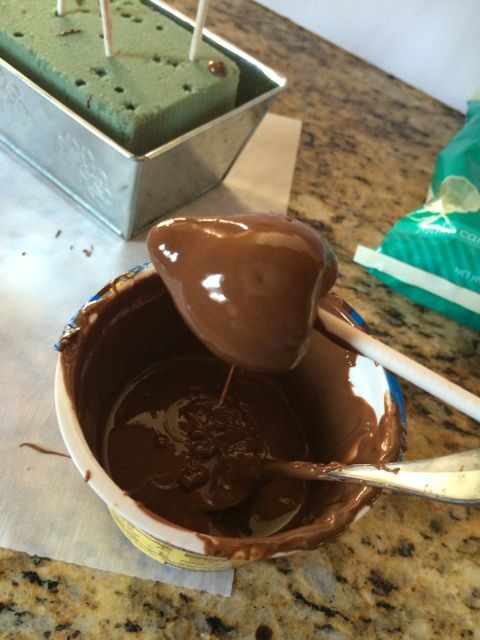 Dip it into your melted chocolate. Try a variety of dark, milk and white chocolate if you are making a large display to give your guests choices. Cover the entire strawberry and tap your arm allowing any excess to fall back into your cup. Place your strawberry lollipop into some styrofoam and allow this layer to harden completely. You can then dip the strawberry into another color chocolate or just fill a sandwich size ziploc bag with chocolate and decorate as you desire. What a festive way to say I love you this Valentines Day. 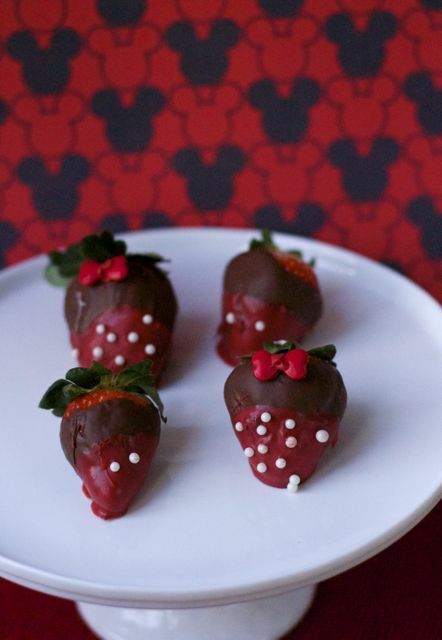 Show your Disneyside this Valentines Day with Mickey and Minnie Chocolate Covered Strawberries. I used larger strawberries for these. Dip them entirely with chocolate and allow to harden completely. Melt red chocolate discs and allow to cool slightly before dipping half of the strawberry in the red. 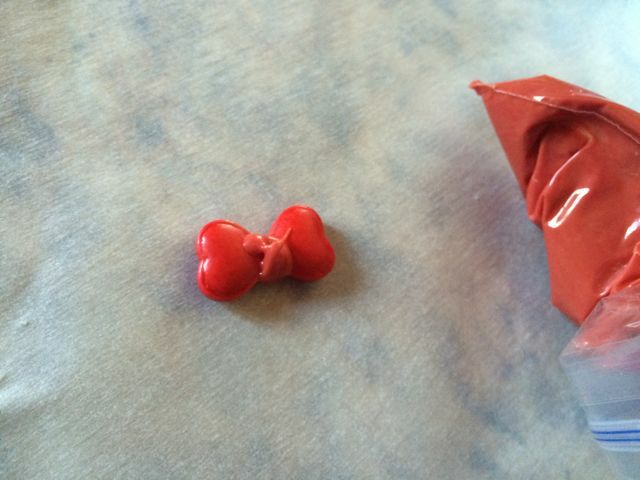 Don’t forget Minnie’s Bow. I used 2 heart candies and used a small red chocolate dot to connect them together. 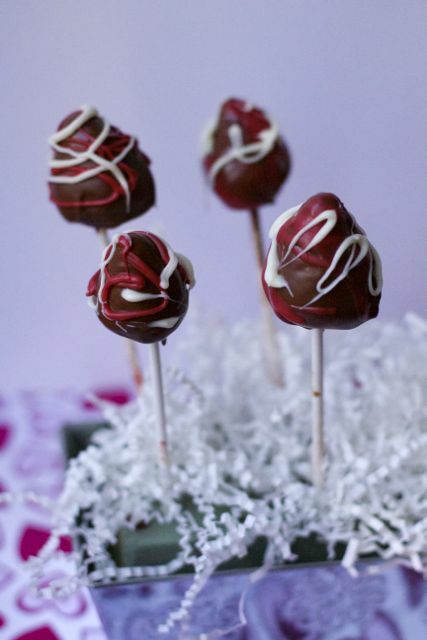 Allow them to cool and them add them to the chocolate covered strawberries. Once the chocolate Covered strawberries are solid, place them on a platter and serve them to your Valentine. 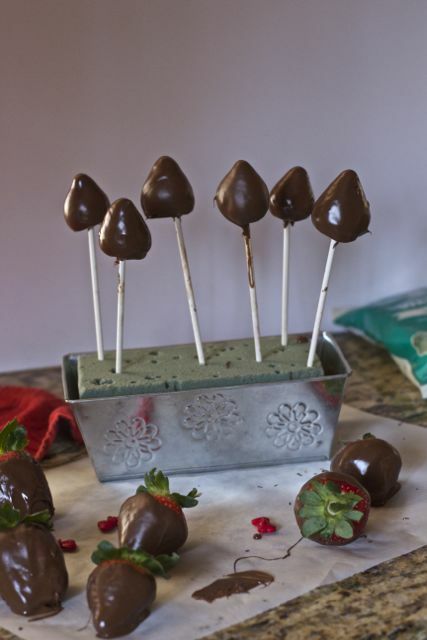 What is your favorite way to make Chocolate Covered Strawberries? I love chocolate dipped strawberries. These are so cute. Those are cute. I love chocolate covered strawberries. Ooh! Very pretty! I love the nice designs! I love that they’re in pops! I love strawberries and I love chocolate. I think those delicious treats are calling my name! The bows are so cute! I love this idea! 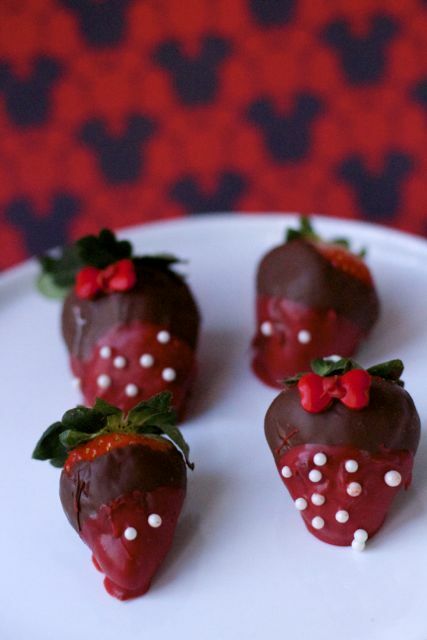 MUST make those for my Minnie obsessed baby girl! Now that is just adorable. We are big Disney fans so I love this pattern! 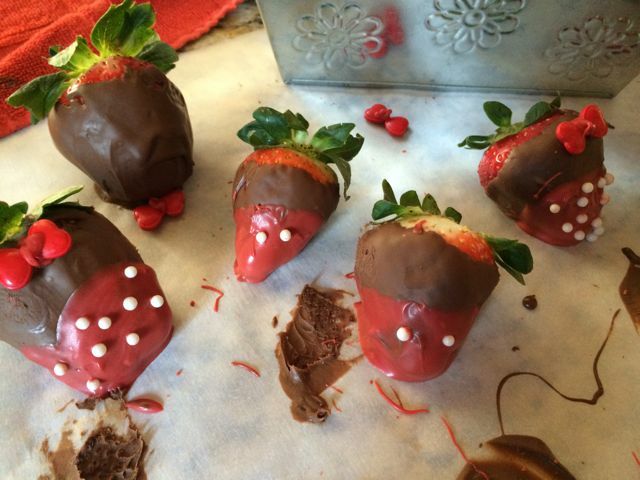 These looks so tasty – my family would love these as a Valentine’s treat! yumm I love choc covered strawberries. Those strawberries sound so good right now. I love how they look when they’re decorated! I would inhale this like you wouldn’t believe. They look absolutely delicious! Oh my how yummy. I am liking the disney ones the best. Too cute by far. I love chocolate covered strawberries and these look GOOD! Wow, I didn’t think chocolate covered strawberries could get any better! I love chocolate covered strawberries and this is such a clever way to serve them. Less mess! What a great way to serve chocolate covered strawberries! My sisters and I make these almost every time we get together, so we’ll have to try this method soon. We love chocolate covered strawberries! These are cute and delicious! I am a sucker for chocolate covered strawberries! And these are even better because you won’t get chocolate all over your fingers!